How are cricket balls made? Well I never knew that Tonbridge was famous for the making of cricket balls. This is a craft process involving a lot of hand skill. 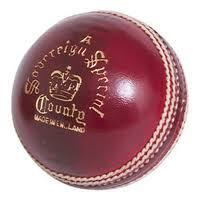 I had little idea what was inside a cricket ball, a lump of compressed cork, a tightly wound ball of string. 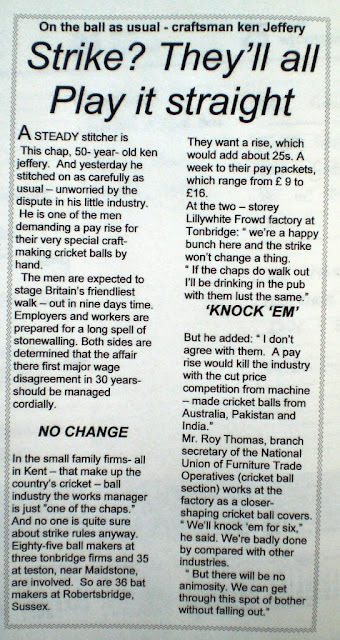 In the 1960’s there were 85 folk making balls in Tonbridge alone, but there was already mention of cheaper balls made in Pakistan and India, I love this 1960’s article from the Kent messenger especially the union reps title. I am not sure how many ball manufacturers are left in Tonbridge. nor what proportion are hand stitched as against machine made but I do remember watching a guy from Alfred Reader’s stitching balls at Art in Action in 1996. Reader’s are clearly still the major brand name in cricket balls I just called them to ask about how their balls were made and was told by a wonderfully frank and honest lady that they are all imported and only “finished” here. Bit naughty when they proudly bear the “Made in England” brand, years ago when I worked on a cutting table in Leicester lingerie firm I was told it was legal to put “Made in England” so long as some manufacturing process had taken place….and sewing in a “Made in England” label counted as a manufacturing process. 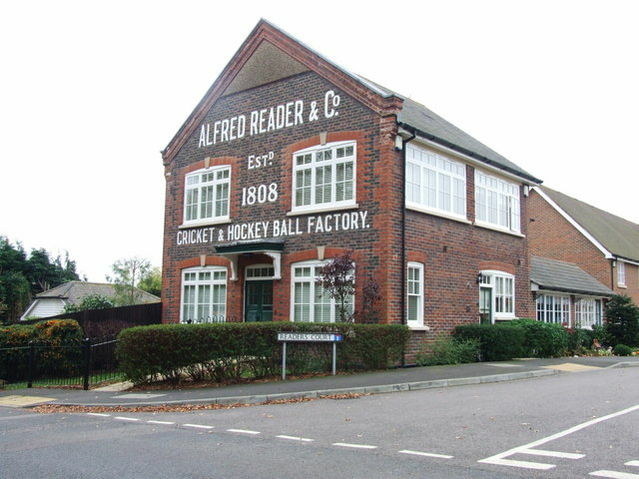 The old Reader factory was sold off for housing development. The more I learn about how we treat our heritage the more I think it is bonkers. Just look at this travesty, clearly the powers that be decided what was important was to keep the factory frontage with it’s nice big sign, so they knocked it down and stuck a horrid modern house on the back. I have no doubt this makes great economic sense and was the way to make the most money out of the particular site.